Istanbul is that magical place where East meets West. It has more top-drawer attractions than it has minarets (and that's a lot). In fact, the city's location isn't its only draw card; back in the day it was the final stage on the legendary Silk Road linking Asia with Europe, and many merchants who came here liked it so much that they decided to stay. In so doing, they gave the city a cultural diversity that it retains to this day. Welcome to Turkey! 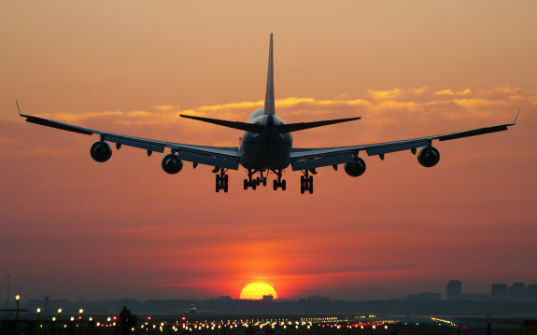 We meet you at the airport and transfer to your hotel. Day is free at leisure or you take an above suggested optional tour. After a scrumptious breakfast, proceed for the Ottoman Relics and Byzantium Tour. Topkapi Palace Built between 1475 and 1478 by Mehmet II, Fatih, the conqueror of Istanbul, served as the residence of the sultan and administrative seat of the Ottoman Empire for 400 years. Blue Mosque This mosque complex, containing Istanbul's only mosque with six minarets was built by Sedefkar Mehmet Aga for Sultan Ahmed 1st. early 17th century. Hippodrome Center of sport activities and political events of the Eastern Roman Empire. 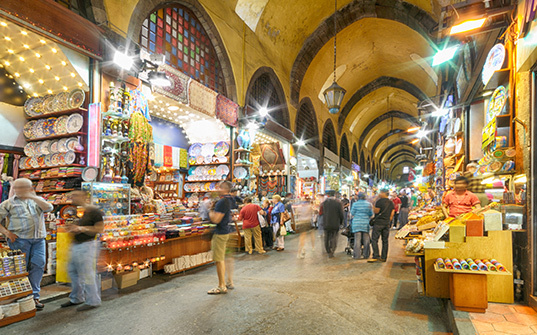 Grand Bazaar Famous shopping center worldwide. Shopping possibilities for carpet, jewelry, leather etc. Overnight In Istanbul. Enjoy a delectable breakfast and go on an exciting full day Full Day Princess Island w/ Horse Carriage Tour. There is no better way to escape the bustle of Istanbul for a day than with a visit to the idyllic Princes’ Islands. Enjoy cool breezes and charming sights along the way to Büyükada, the largest Island in the chain. Famous for their mild climates, lush vegetation, and ornate Ottoman Houses, all the islands are unspoiled by traffic. 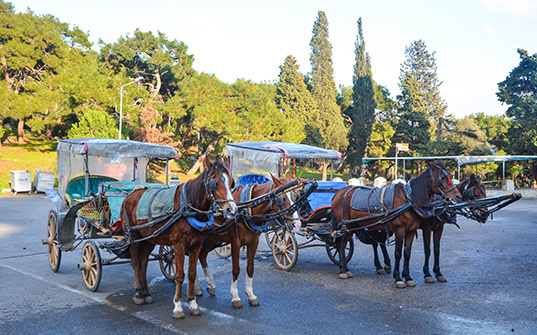 Instead of cars there are carriages, called phaetons, which we will use to tour the island and its beautiful scenery studded with elegant mansions draped with purple bougainvillea, reminiscent of a more leisured and graceful era. After breakfast, check out from your hotel and proceed for the Full Day Bosphorus Cruise and Two Continents Tour and afterwards you will be dropped at the hotel Spice Bazaar (Egyptian Bazaar): The air here is filled with the enticing aromas of cinnamon, caraway, saffron, mint, thyme and every other conceivable herb and spice. Boat Trip on the Bosphorus; A traditional excursion by boat along the waterway separating Europe and Asia. The shore is lined with old wooden villas, palaces of marble, fortresses, and small fishing villages. During the excursion you will pass the magnificent Dolmabahce Palace, and further along, the parks and imperial pavilions of Yildiz Palace. On the coastal edge of this park, is Ciragan Palace, 300 meters of is marble facade faces the shore. At Ortakoy a great variety of artists gather every Sunday to display their work along the street. 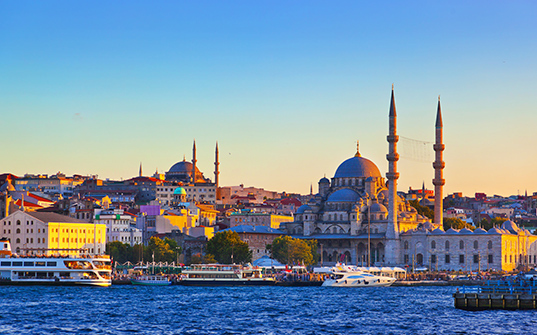 Ortakoy is a symbol of tolerance with a church, a mosque and a synagogue existing side by side for centuries. Rumeli Fortress ( From The Sea ) Built by Mehmet the Conqueror in 1452 prior to the conquest of Istanbul, was completed in only four months to control and protect Bosphorus. It is one of the most beautiful works of military architecture anywhere in the world. Bosphorus Bridge; Unique chance to step from one continent (ASIA) to another (EUROPE) Camlıca Hill, The highest point in Istanbul. At the top of it you can rest and admire the magnificent panorama of Istanbul and the Bosphorus from the beautiful gardens, landscaped in traditional style. Shopping Possibility at Bedesten, exhibits the traditional silk weaving girls at the carpet weaving courses authorised by the Ministry of National Education Possibility to see jewellery, handicrafts center and leatherware show. Later, you will be transferred to the airport for departure. Bon Voyage. Note: The third person sharing the room is provided with an additional mattress or a roll away bed. Owing to EU hotel occupancy regulations, a maximum of 3 persons are allowed in a room. A surcharge may be applicable on certain departures. Due to operational reasons, the routing of this tour may be amended. However, all mentioned, however, services will remain unchanged. Additional person is not allowed in Single Occupancy Rooms are generally small in Turkey Driver Tips is not included Visa Rejection/Approval is totally depend upon embassy. Musafir as a tour operator held no role in it. 10 days prior to departure 100% of the total amount will be deducted. Terms & Conditions: Rates are subject to availability. Above is just a quote, no booking made yet. Cost of VISA and Travel Insurance are not included. Peak season surcharges may apply on some dates. Fix Departure date, no amendment and changes possible. Rates are subject to availability at the time of confirmation. Passport & UAE Residence Visa must be Valid up to 6 Months from the date of travel. Visa approvals are subject to embassy’s decision.